This is a collection of specially selected internet-based resources in English to facilitate higher learning and research, especially about Shia Islam. These have been selected for their usefulness and professionalism. As they are dynamic third-party sites, MARC does not assume responsibility for their changing content. We are open to suggestions on how this selection can be improved. Al-islam.org is among the largest collections of online digitized Islamic resources with an emphasis on Twelver Shia Islam. It is created and maintained by the Ahlul Bayt Digital Islamic Library Project (DILP), a registered Non Profit Organisation that operates through the collaborative effort of volunteers worldwide. Items are organized into subject-related categories and by language. Both text and media resources are available. Islamiclibrary.com has a collection of over 11,000 books across 5 languages written from the Shia school of thought. Online reading is open to all. Downloading books requires a free membership. It is operated by a non-profit organization with the primary purpose of providing peaceful Islamic Literature. IslamicMobility.com contains a large collection of downloadable Shia ebooks, especially intended for use on mobile readers and other handheld devices. The books can also be read with a pdf reader on one’s personal computer. Tebyan has a collection of over 3000 books and articles arranged topically in English, and many more in Persian and Arabic relating to Islam, especially Shia Islam. Shiamultimedia.com contains a variety of materials in English and Urdu, including a large repertoire of books for download, audio materials such as lectures, marsiya, and Quran recitations, and video materials. The Ahlulbayt (a.s.) Global Information Center is an organization under the supervision of the office of Grand Ayatullah Ali al-Sistani. One the main sites it operates through is al-Shia.org, which contains both articles and books on many topics, sorted by subject. Ziaraat.net contains a large collection of Shia books in English and Urdu which are downloadable in pdf format. Rafed.net contains a very large collection of articles on Shia and Islamic topics, sorted by subject. The “kids corner” also has a lot of great materials, including archives of the Mujtaba magazine. HubeAli.com contains some harder to find texts available for download in English and Urdu. The collection includes a number of important hadith collections for Shia Muslims. Islamiclib.wordpress.com contains a large collection of downloadable Shia books, organized by theme. 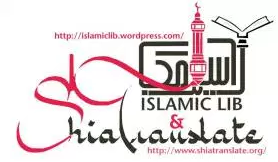 Portalislamica.org is a project of the Mulla Asghar Library to be an online repository of quality multimedia learning resources such as books, articles and courses about Shi’a Ithna Ashari Islam. The selection is streamlined to give the user access to important foundational texts conveniently in a single location. The Islamic Education Section of the website of the World Federation of Khoja Shia Ithna Ashari Muslim Communities contains a small selection of resources for download and useful links to Islamic materials. The World Federation Shop contains many of the English publications of the World Federation available for free download. The World Organization for Islamic Services (WOFIS) makes its English publications available for free download in pdf format. Ask an Alim .org is a forum for questions & answers to religious discussions of the Shia Ithna ‘Ashari faith in the light of Quran and Ahlul Bayt (as). It was established to resolve research-orientated, educational and cultural queries. It predominantly focuses on non-jurisprudential questions, although jurisprudential questions may be answered at the scholars’ discretion. Ask the Sheikh.com is a Question and Answer website on Shia Islam, designed for both Muslims and non-Muslims around the world, with particular emphasis on people living in the West. IslamQuest.net is a place to ask questions about any Islamic topic, in Farsi, English and Arabic and receive answers from the Shia point of view. Archived answers from previously asked questions can also be found filed under the appropriate category. Miftah Question-And-Answer Website of AhlulBayt (a.s.) Web Portal is a place to ask questions and access answer repositories. It contains over tens of thousands of Qur’anic, hadith-related, doctrinal and historical questions and answers in Arabic, Persian, Urdu, English and Turkish. Inquiries.ir accepts questions about the Shia point of view and keeps a collection of archived answers to formerly-asked questions. It is connected with the administration of the Holy Shrine of Imam Reza (a) in Mashhad. Ask Qul is is a medium for asking Islamic questions to be answered by scholars from the Hawza Islamic University in Qum, Iran and renowned Sheikhs from around the globe. The site also contains an archive of answers given to previously asked questions. The Journal of Shi’a Islamic Studies, is a publication of the Islamic College in London. It is a refereed academic journal published quarterly which aims to provide a scholarly platform for all fields of Shi‘a studies, including but not limited to, theology, philosophy, mysticism, law, jurisprudence, politics, history, Qur’an and hadith studies. The Message of Thaqalayn is a quarterly journal which aims to be a primary publication for both academics and laypeople. It publishes from the perspective of the School of the AhlulBayt without being affiliated with any single organization or academic society. It features a broad range of topics pertaining to dialogue, history, Shi’a personalities, Islamic law, Qur’an and hadith studies, doctrines and contemporary issues, spirituality, and revered Muslim women. Religious Inquiries is an English language journal produced by the University of Religions and Denominations in Iran. The Journal publishes papers on on comparative studies of Western and Islamic theology, mysticism and ethics. Shiastudies.org provides access to the Shi’a Studies E-journal, published by the Centre for Islamic Shi’a Studies (CISS). The CISS aims to produce research on traditional and contemporary issues specifically from the Shi‘a perspective and promote a better understanding of the Shi‘a faith, its people and culture in academia and society. Shii Studies Review is a refereed journal with an international editorial and advisory board issued biannually. The journal publishes peer-reviewed original studies, critical editions of classical and pre-modern texts, and book reviews on Shii law, ḥadīth, Qurʾānic exegesis, philosophy, kalām, ritual and practices, classical and contemporary literature, and other aspects of the history of Shiism. It is dedicated to the study of Imami, Ismaili, Zaydi, and other other trends in Shii thought throughout history. It is published by Brill. Spiritual Quest is a biannual journal dedicated to the discussion of Shi’a ethics and spirituality. It is published by the Centre for Cultural and Ethical Studies. Islamic Writings is the published student journal of the Islamic College in London aiming to promote Islamic Scholarship among students of the college. Al-Sidrah is a journal about Islam and community, published by the Ahl al-Bayt Islamic Seminary (located near Chicago, IL). Al-Tawhid: A Quarterly Journal of Islamic Thought and Culture was published by The Foundation of Islamic Thought, an independent institution established in Iran in 1984. Archives of selected articles are available here. Topics are organised under the following headings: Qur’anic studies; hadith, ‘Irfan, philosophy, history, ethics, fiqh and usul, kalam, economics, the Muslim ummah, and Western and Islamic interactions. An alternative list linking to the articles is available here. The International Journal of Shi’i Studies, published by Global Scholarly Publications, ran for 8 issues from 2003 – 2007. Its first issue is available free of charge here in kindle format and here in epub format. AMIR is a blog where a large listing of open-access resources relating to Middle Eastern studies has been compiled. Here is its list of open-access journals which contains links to a plethora of valuable resources. The directory of open-access journals lists many journals; through search restrictions these can be limited to Islamic journals in the English language. eHawza is an Electronic Hawza program in English consisting of three levels of education: crash courses, diploma and BA (Hons). eHawza was founded and launched by Dr Sheikh Mansour Leghaei in Sydney in 2001. He is the author and presenter of all the material on the site. The Hawza Ilmiyya of England, situated in London, UK, has made available a video archive of a number of recorded classes on various Hawza subjects. The Kawthar Learning Circle offers a two-year online study program, taught by Shakyh Mohammad Ali Shomali. Courses are offered in ethics, Quranic studies, theology, jurisprudence and philosophy. After completing the full two-year program, the student will obtain certification of program completion from the Hawza Ilmiyya of England (this does not equate to two years of hawza studies). Quran and Etrat Online University offers free courses on many topics pertaining to Shia Islam. Registration is required to access the content. The Academy for Learning Islam (ALI) is based in Toronto, Canada. ALI offers both in-class and short online courses throughout the year on various topics including theology, spirituality, health, and history. Online Shia Studies offers short paid courses for busy people who want to know more about Shīʿī Islam. The courses are taught by Sr. Rebecca Masterton. Course topics include the tenets of Shi’ism, esoterism, history, Islam in Africa and comparative literature. The Jaffari Online Institute offers a Foundations in Islam course taught by Sheikh Jaffer H. Jaffer of the Masumeen Islamic Centre, in Brampton, Canada. It is an initiative of the Islamic Shia Ithna Ashari Jamaat (ISIJ) of Toronto to provide post-madrasah education to college and university students. Classes for other audiences are planned in the future. Registration is here. This website provides an introduction to Shias, to Islam, to the 12 Imams and to some Duas (Supplications). Shiapedia is an online Islamic encyclopedia that covers various topics through the teachings of the Prophet (pbuh) & his holy household (as). It is an initiative of the Centre for Islamic Shi’a Studies (CISS). Qul is centralized database which contains a lot of materials about the basics of Shia Islam from articles on items of faith, a guide on how to pray, to a sizable collection of multimedia resources – TV, lectures, films and more. Momin.com has a small collection of articles, books, duas, and other materials, including materials introducing Shi’i Islam. The site is dual language Urdu/English. almizan.org is a place to find online the English translation of the Tafsir of Allamah Tabatabai. Relevant sections can be selected by their location in the Quran or by topic. This webpage allows one to make selections of Islamic verses and obtain the Arabic text, three parallel English translations (by Shakir, Yusufali and Pickthal) and the brief Shia commentary by Agha Pooya Yazdi. The Quranic Arabic Corpus is an annotated linguistic resource which shows the Arabic grammar, syntax and morphology for each word in the Holy Quran. The corpus provides three levels of analysis – morphological, syntactic and semantic. StudyQuran.co.uk is a gateway linking to many resources for the study of the Quran including a topical index, phonetic searches, word concordance and more. The Hadith Database Project (HDP), an initiative of the Academy of Learning Islam (ALI), aims to make accessible narrations from the Holy Prophet (s) and his Ahlul Bayt (a) to the English speaking community. Currently there are over 20,000 Hadiths stored on the database. Duas.org is an extensive online resource for Shia duas, with the Arabic text, English translations, and in some cases accompanying audio and video recitations. Both common duas and more rare supplications from the Ahlul Bayt, suitable for many different situations, are included. The website also has articles and books relevant to prayers and duas and materials in languages besides English. This resource, hosted on al-islam.org, is a well organized source to access common supplications in Arabic and English in parallel line-by-line format. Ziaraat.org contains links to various Shia Ziyaraat and their English translations as well as audio and video resources and a guide for making the actual visit in person. The Sahifah Sajjadiyyah Project (SSP) hosted by the Academy of Learning Islam (ALI) is a place to find articles about and Duas from the sacred Shia text, the Sahifa Sajjadiyyah. The Ibn ‘Arabi Society is dedicated to promoting a greater understanding of the works of Ibn ‘Arabi, one of the most prolific Sufi writers of all times, and his followers. The Idrees Shah Foundation provides free access to the written works of Idries Shah, an English author of the Sufi tradition who wrote dozens of books. This site honours the teachings of the living Sufi teacher, Shaykh Fadlalla Haeri who has authored over 30 books and provided spiritual guidance to many around the world. He is a Sufi teacher with a Shia heritage who writes and teaches in English and is based in South Africa. The site muslimphilosophy.com contains hundreds of full-length books and articles on Islamic philosophy, ranging from the classical texts in the canon of Islamic philosophy to modern works of Muslim philosophy. Transcendent Philosophy Journal is an academic peer-reviewed journal published by the London Academy of Iranian Studies (LAIS) and aims to create a dialogue between Eastern, Western and Islamic Philosophy and Mysticism is published in December. Open access to the journal’s archives is available here. The Circle of Sociology of Shia Studies is a group of social scientists and researchers who focus on the study of sociology of religion, especially Shia studies. The site contains some subject-specific articles and other information relevant to those in the field. The Madrasah Centre of Excellence was launched by the Islamic Education board of the World Federation of Khoja Shia Ithna Asheri Jamaats, with the goal of coordinating work on four streams – curriculum development, teacher training, sharing learning resources, and assessment & evaluation of students, teachers and institutions. Their website contains some useful resources relating to curriculum content and teacher training. QFatima is an organisation whose purpose is to develop innovative, educational material about Shia Islam that is simple, relevant and comprehensive. The organisation makes its learning materials freely available on its website. Zahra Trust Media contains educational graphics, motion-graphic clips and documentaries. Play & Learn is a long-running site with a variety of materials both for adults and children. The materials for children include poems, word games, songs, Alphabet worksheets, downloadable colouring sheets, quizzes and stories. Other materials include articles, books, family trees for understanding history and genealogy, Hajj resources and more. Kidsmedia.net is a flash-enabled site containing graphic and multimedia interactive items for Muslim children such as virtual games, animated short stories, printables and ecards. Islamicplayground.com has materials of a general Islamic nature (not specifically Shia) and can provide enjoyment for all Muslim children. They include word games, jigsaw puzzles, quizzes, colouring and printables. The Kids Corner at Rafed.net has a lot of materials for Shia children including ebooks, stories, games, colouring, jokes, animated stories and archives of the Mujtaba Magazine for Muslim children. This website has been around for a long time and contains stories about pious personalities, as well as games, puzzles and downloadables. zamzam-mag.org contains access to archives of the Shia children’s magazine, Zamzam. AhlulBayt TV is an English TV network dedicated to delivering the message of the Holy Prophet Muhammad and His Holy Household. Recordings of previous episodes are available on demand on the AhlulBayt TV website. iFilm is is an Iranian entertainment network which consists of three channels in English, Arabic and Persian. Its purpose of the channel is to present Iranian films and series to the global audience, many of which pertain to religious themes. Khoja.com is a gateway to many Khoja-related resources. Khojahistory.org is also part of the Khoja Heritage Project of the World Federation of Khoja Shia Ithna Ashari Communities. The project’s mission is to “collect, collate, document and preserve the legacy of our ancestors for posterity”. At khojastudies.org, you can learn about the Khoja Studies Conferences that gather together individuals from the around the world who are involved in an academic pursuit of Khoja Studies. The Muslim Writers Club has a webpage with a variety of resources for Muslim authors. The Islamic Publishing House is run by a husband-wife team based in Kitchener, Waterloo. They can help you publish your work along three different streams of support. Inked Resistance Islamic Publishing seeks to publish fiction written by Muslim writers. Sun Behind The Cloud Publications is another Islamic publishing house that seeks to publish English-speaking Islamic literature from both well-known scholars and first time authors. Authors should also consider the many self-publishing options that are available online for small fees. The websites below offer a variety of free ebooks and audiobooks containing material from both Muslim and non-Muslim sources. Among the collections are many Islamic books which can be found by searching. Forgottenbooks.com is a British publishing service that specializes in restoring old books. In addition to being available in print, the restored texts are available for reading online and for download. This link connects directly to their category of approximately 200 books pertaining to Islam. The Internet Archive is a place to obtain out-of-print books in different languages. Contained in the collection are thousands of English works on Islam. Project Gutenberg is the oldest digital library. It is a volunteer effort containing thousands of books, many of which are full texts of public domain books. There are also many national affiliates of Project Gutenberg containing books in the public domain in various different countries. Free ebooks.net is one among many sites on the internet offering free ebooks for download, which include among other subjects, nonfiction books on Islam. Many popular eBookstores such as Google eBookstore, Amazon kindle, and Kobo.com have a free offerings as well, including books on Islam.